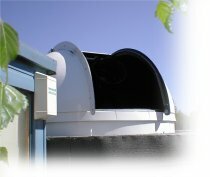 Software is at the heart of an automated observatory. The core of the system I am using is ACP 3. 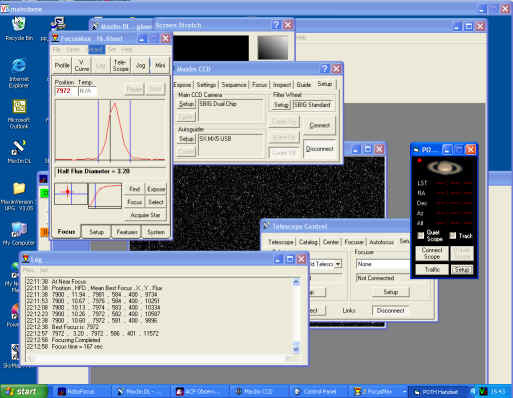 ACP automates many of the routine tasks needed to take CCD images through a telescope. Its able to guide the scope around the sky. Plate solve exposures so it always knows where the scope is pointing. Control focus and camera and guider and run automated scripts. Even better in can do all of this over the web! The whole lot brought together by ACP3's web interface (Warning its not quite as simple as it looks). Other elements of the automated observatory equation include focusing and plate solving. Focusmax does a great job of the focusing. Even to the point of finding close bright stars to focus on. Slewing the scope to them, focusing, then returning. Pinpoint does a equally great job of plate solving images. It feels a slightly more mature piece of software compared to ACP. ACP has the very difficult job of bringing different pieces of hardware together and dealing with situations that might of been unforeseen at the start of the observing run. However the author Bob Denny provides great support for the product and is very much prepared to listen to owners suggestions for new features. Over the last few months filter handling has been improved for non par focal filters and the ability to check for dome status during ACP sessions has been added. Also third party scripts are available for ACP from a growing user base. A particular mention goes to Michael Marcus acquire image script which is a enhanced version of those supplied with ACP. ACP, I believe, was written to automate observation runs but not really for unattended observation which is the way I am attempting to use it. However the software is improving all the time in this area and I hope one day to be able to link my sky survey program to the LX200. The aim would be to identify interesting observation from the sky survey and get the lx200 to take follow up measurements the next night if the scope was not in use. As a amateur astronomer, just being able to contemplate such a system is an indication of the potential that automated observing has. 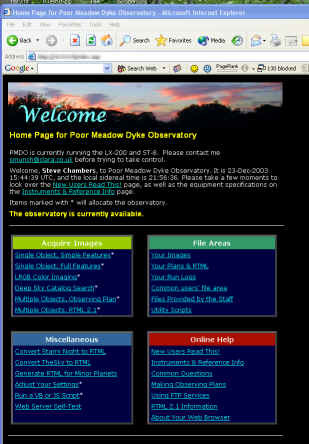 Ironwood Observatory - Running ACP and working well!